When will I get the VSYS rewards? How much VSYS rewards will I receive? Q：What is Supernode Proof of Stake (SPoS)? A: SPoS is the next evolution to PoS consensus algorithm invented by Sunny King and is the consensus mechanism used by V SYSTEMS. From an architecture point of view, SPoS rectifies the multiple shortcomings of PoS, and adopts fixed block algorithm design to improve performance and stability. From a governance perspective, on another hand, not only is a lowly-centralized incentive model adopted, coin holders are able to participate in minting as a way of governing the ecosystem. Q：How do I Join the VSYS PoS pooling? 1. 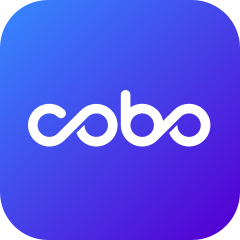 Download and sign up Cobo Wallet. 2. In Finance page, you can select PoS pooling to transfer VSYS coins from your wallet. Q: What are the advantages of smart proxy voting via Cobo as compared to directly voting for SPoS nodes? A: There are two advantages to using the Cobo VSYS reward wallet. Cobo executes smart, real-time algorithms to optimize and maximize your profits. This not only reduces your risk due to the change of the node pool, but also saves you the cost of voting and withdrawal. Additionally, Cobo saves you on paying for miner's fees (direct participation in the SPoS node's voting dividends will incur miner's fees of 20% profit). Cobo takes 5% management fee from staking your VSYS. Holding your assets in Cobo Wallet will always be free. And in order to maintain stability in Cobo voting system with VSYS, there will be only a 50 VSYS fee for outbound transfer.